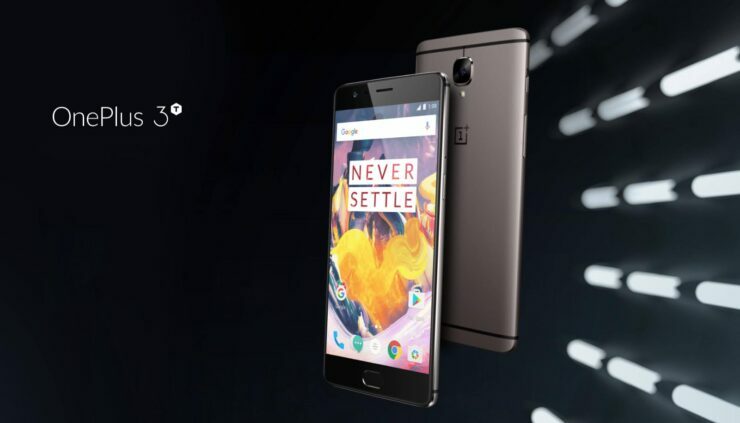 The OnePlus 3T is a step up from the Snapdragon 820-powered OnePlus 3 and it looks like you will find some actual use from the powerful flagship thanks to its upgraded specifications. Even after months of rejecting claims that a more powerful OnePlus 3 variant was going to be introduced, the OnePlus 3T enters the fold and offers slightly better hardware specifications for the price it is being offered at. For starters, it features the Snapdragon 821 SoC, meaning that the device will be able to render Daydream content comfortably. One of the biggest setbacks from the original OnePlus 3 was the fact that it came with a small 3,000mAh battery capacity and despite sporting a 5.5-inch display, we were honestly expecting a larger cell. Thankfully, OnePlus 3T solves that with a 3,400mAh battery and provides support for the same Dash Charge technology present in its predecessor. It does not provide support for wireless charging, but then again, the smartphone isn’t retailing for $500 now is it? Sporting the same Optic AMOLED display with a 1080p resolution, some rumors suggested a 1440p panel was going to be used, but for the sake of increased battery life, the resolution across both devices was maintained. 6GB of RAM has been retained, and while there is no option to expand your storage, OnePlus 3T does allow you to purchase two models in the 64 and 128GB storage variants. If you’re a complete baller, then you will probably require the extra storage, especially if you’re going to be recording 4K footage. Thanks to the improved hardware, we have no doubt that the smartphone will comfortably be able to record footage at the aforementioned resolution. Now for the details that you have been waiting for; the price tag. OnePlus 3T is available in the 64 and 128GB storage models, with pricing details listed below. The smartphone is going to start selling from November 22, and give a considerable amount of fight to those who are priced higher and possess nearly the same hardware. Do you think OnePlus 3T will give the other Android flagships a run for their money? Tell us your thoughts right away.